A fast curing polyurethane adhesive with patented Genius Gun trigger mechanism for one handed application. 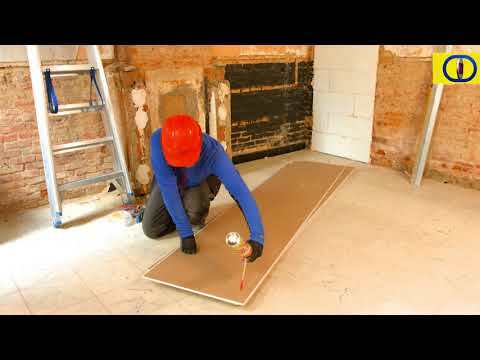 Replaces traditional mortar based adhesives. Primarily for bonding plasterboard to walls, but also adheres to metals, stone, ceramics, steel, lead, zinc, and laminate. Reusable for up to 6 weeks. 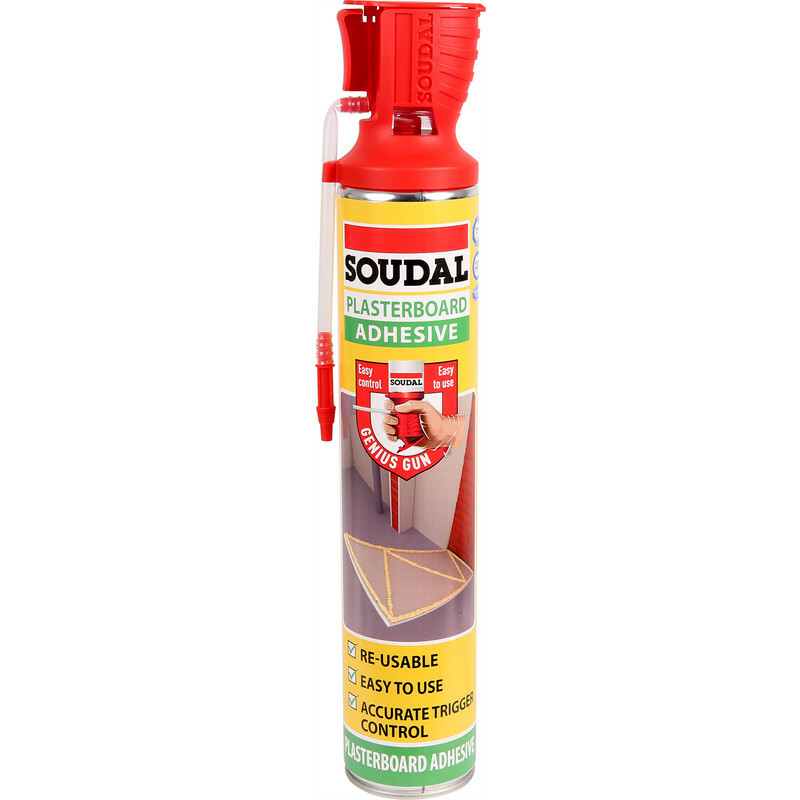 Soudal Plasterboard Adhesive Foam 750ml is rated 3.8 out of 5 by 11. Rated 5 out of 5 by Glam from Amazing stuff I needed to fix Plasterboard around a soil pipe which was fixed to a wooden frame for 60 % and a block wall for the remaining 40%, I found the product very easy to use and the adhesion to the block work was very good without the gapping had I used the dot and dab method. Rated 4 out of 5 by Topman8648 from Messy to use I was happy with the finished product, but very messy. Must wear gloves it's difficult to get off if you get on your skin! Rated 1 out of 5 by MikeP_UK from Messy! I bought this several months ago. I didn't like the way it sprayed out under considerable pressure. It was very messy and difficult to clean up. I would not use this again, I used conventional plaster adhesive instead and got the job done far better. Rated 2 out of 5 by RickyDooDah from Wouldn’t buy again I’ve used cans of the ever build equivalent and it worked really well, this is a poor second. The patent pending trigger broke after the second use, the cap to screw on the end is just blown off by the expanding foam in the tube. However, the biggest problem, noticed by other reviewers is the fact that the foam continues to expand after use and pushes the board off the wall, so you have to keep going back and pushing all the faces back in line. Once stuck the bond is very strong. Also the instructions on the can only mention for gap filling, no guidance for plasterboard which is what the product name is.